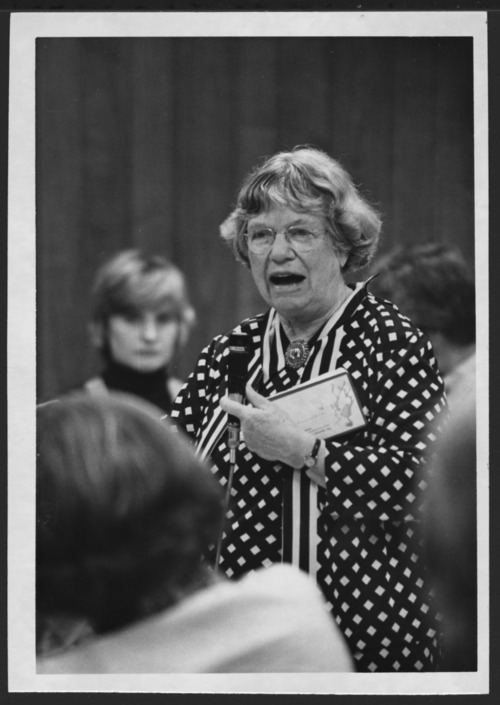 Margaret Mead was on the Menninger Foundation Board of Trustees and was a Sloan lecturer in 1963 and 1970. She was an anthropologist, psychologist, teacher, author, and researcher known world-wide. She is at the Annual Meeting in 1976.